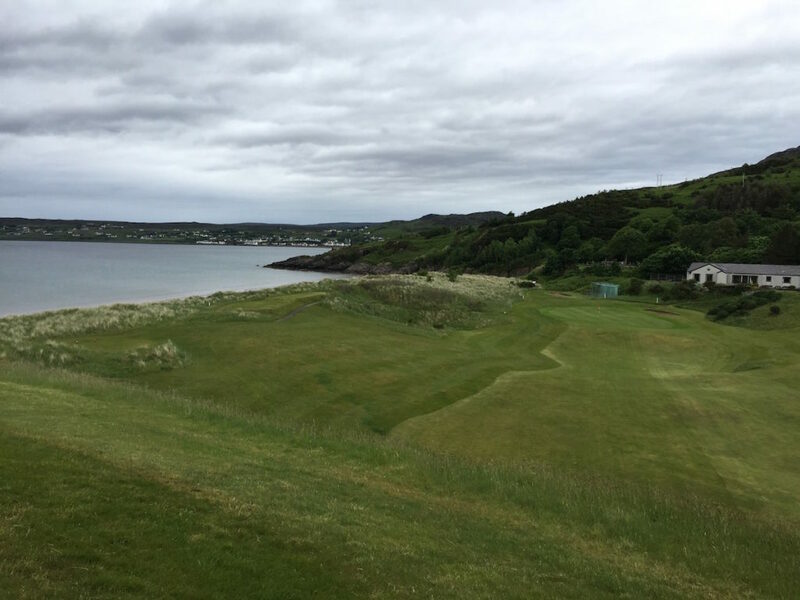 Gairloch Golf Club is one of those rounds I think back to often. 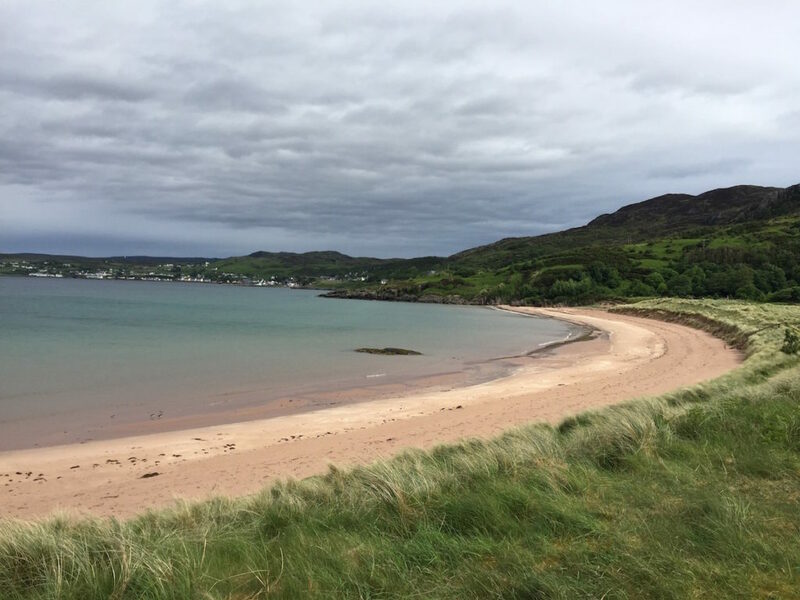 It was a cold and rainy morning in June, but there is something about the town of Gairloch and that area of western Scotland that stays with you. 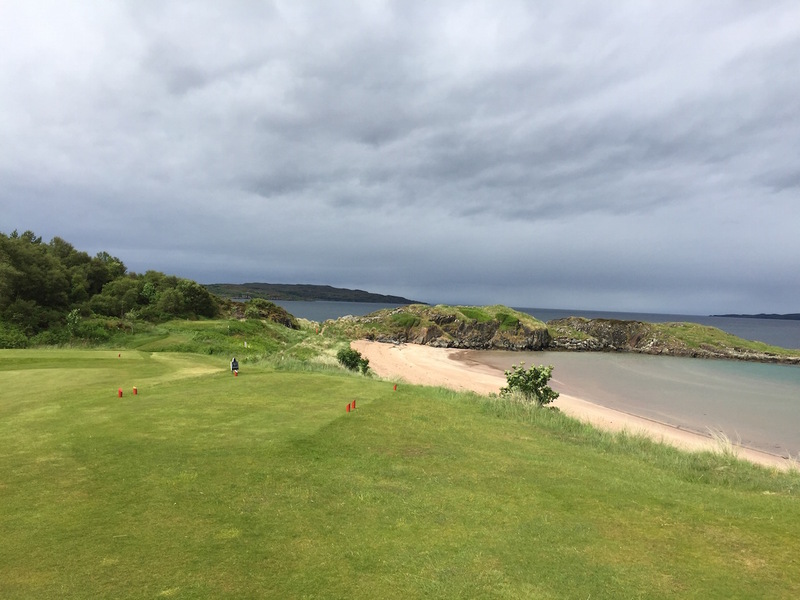 I played Gairloch during my journey on the North Coast 500, and I was lucky to be paired up with a kind local host with serious knowledge of the course and area. We had a great day on the course and I’m very glad I had someone to show me around. 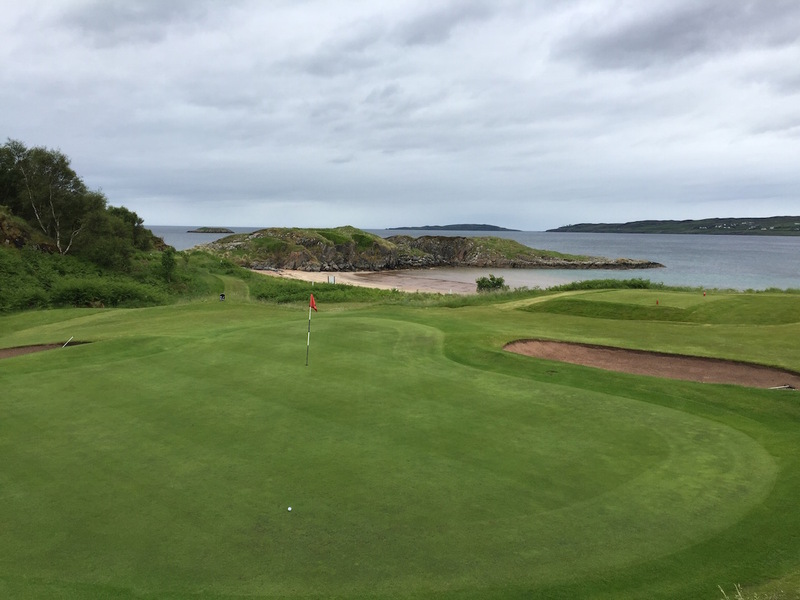 Like Durness, Gairloch has nine holes and 18 sets of tees, which, combined with a unique routing, can get confusing. 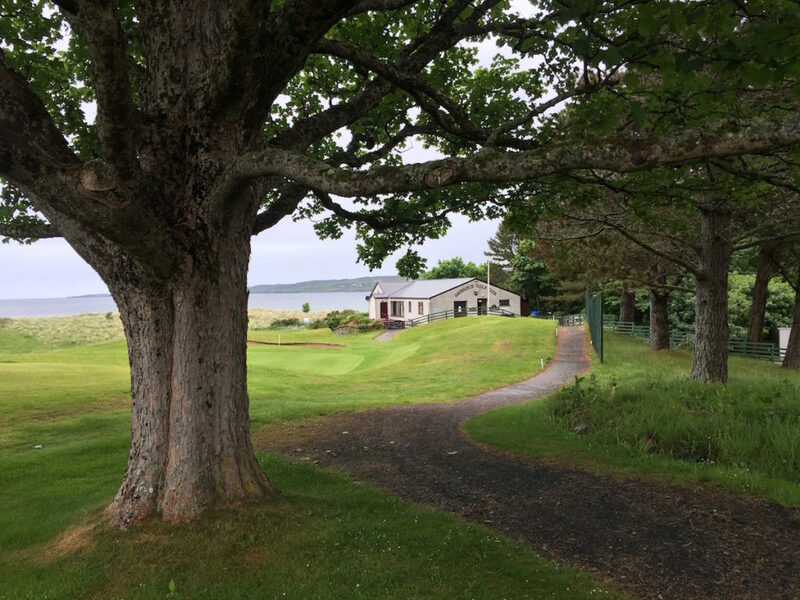 The course is squeezed onto a small piece of land between tall hills and a picturesque beach. The routing meanders, doubles back, and plays over itself to fit in all nine holes. A map of the routing is found at this link – check it out and take note that three of the nine holes cross one another. You realize why playing with a member was so valuable! 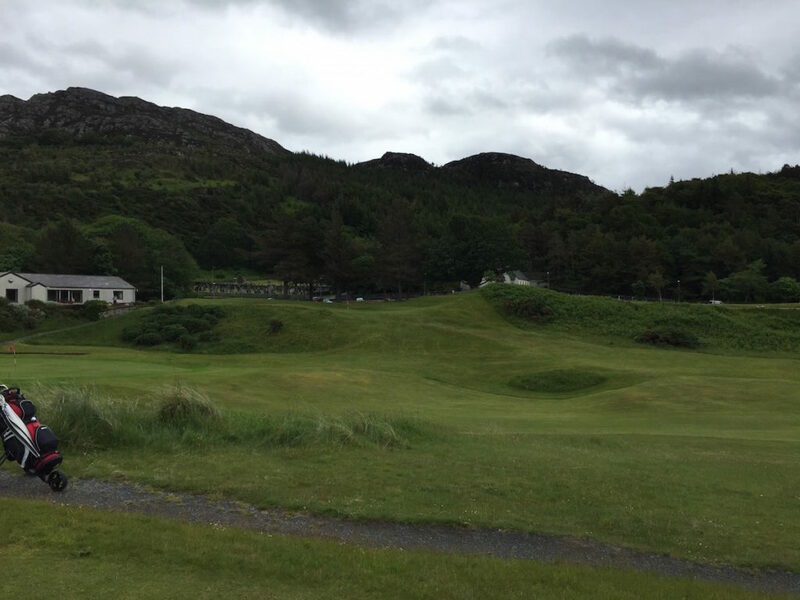 The club was established in 1898 and the course grew and evolved over the decades. It makes for a very fun round that is totally different than anything built in the modern era. The nine holes are comprised of six par 3s, two par 4s, and one par 5. 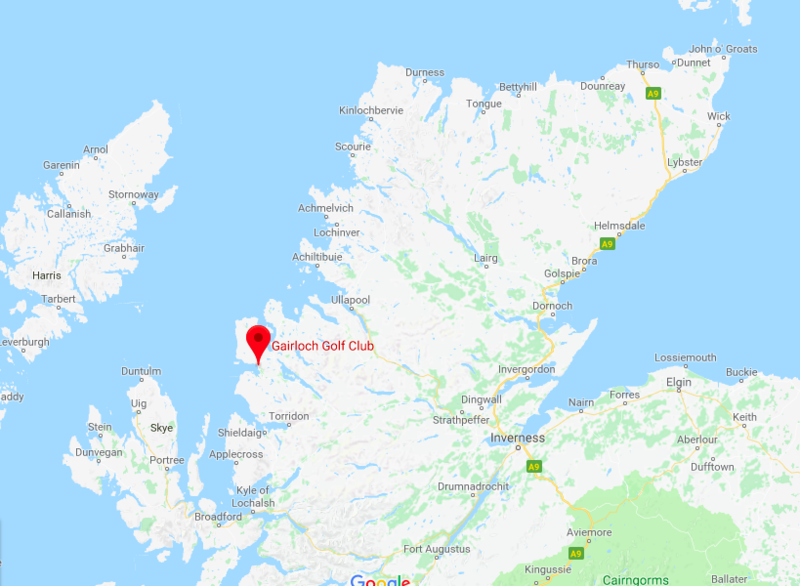 Gairloch Golf Club is located just outside of the town of Gairloch. The center of town is visible on the far coastline in the photo below. The evening before my round I hiked into the hills above the course. The little strip of beach you see in the photo below is the same beach you see in the photo above, which borders the course. 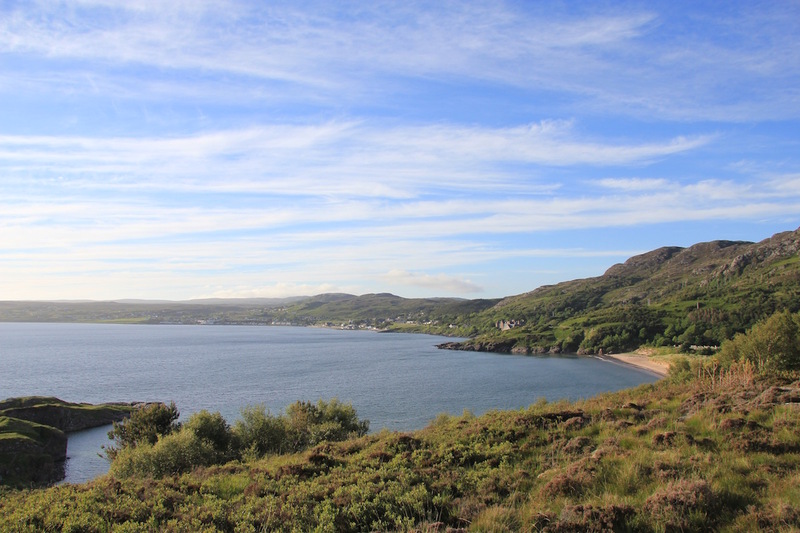 Gairloch harbor, seen below, is very picturesque and is surrounded by dark hills and exposed rock. 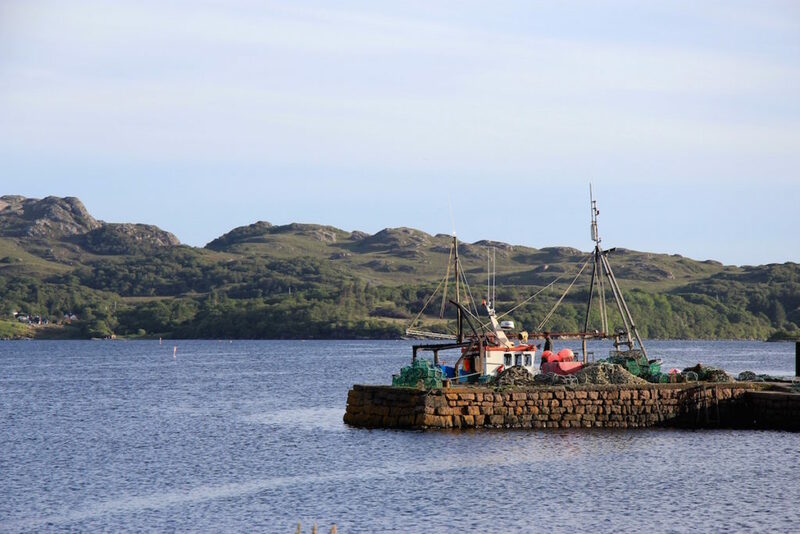 These little villages on the west coast of Scotland have so much character. Here are some highlights from the round (I only played nine holes, so the yardages refer to the set of tees used for holes 1-9). 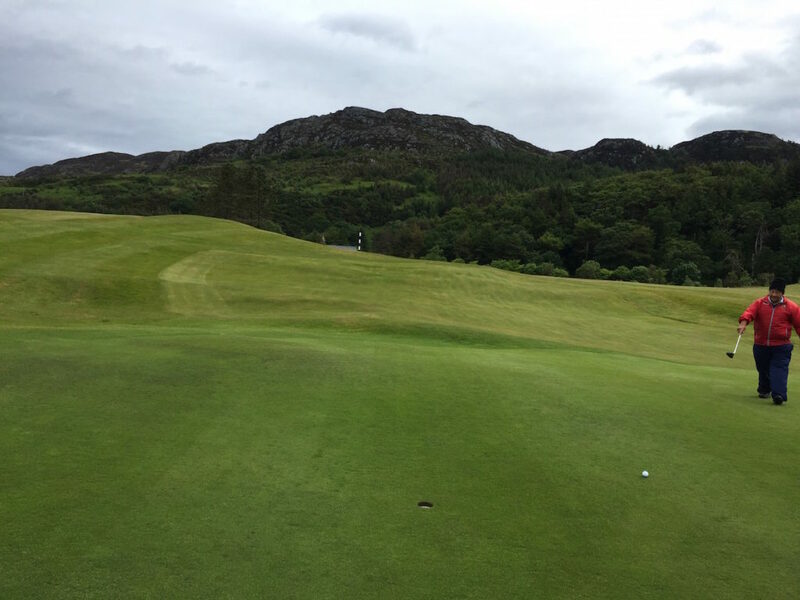 Hole 4 – 233 yards – “Blind Piper” – The photo below is from the green looking back toward the tee on this short blind par 4. The line off the tee is the black and white marking pole. This view give you a look at the steep hills that surround the course. 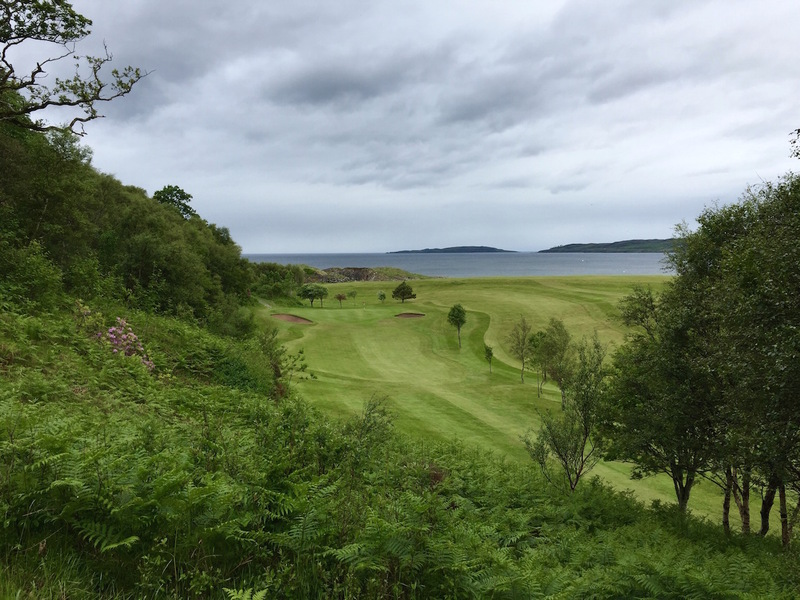 Hole #6 – 194 yards – “Westward Ho!” – This elevated par 3 is one of the prettiest on the course and also the first hole with an artificial turf tee set on the hillside above the course. A number of tee boxes were added to the course on the hillside to increase distance in recent years. Looking at the course routing, I’m not sure they could have been added elsewhere. 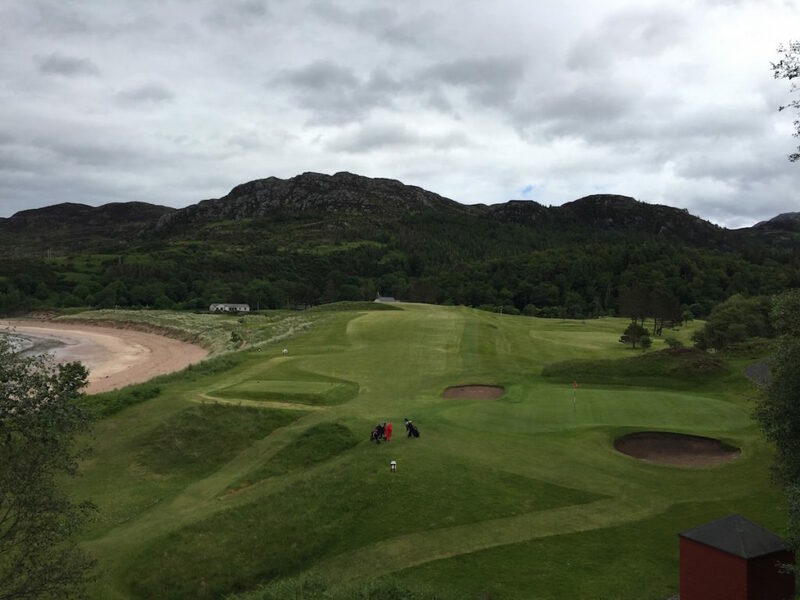 They don’t feel very natural, but with the views and fun they add to the course, I’d happily play them every day. 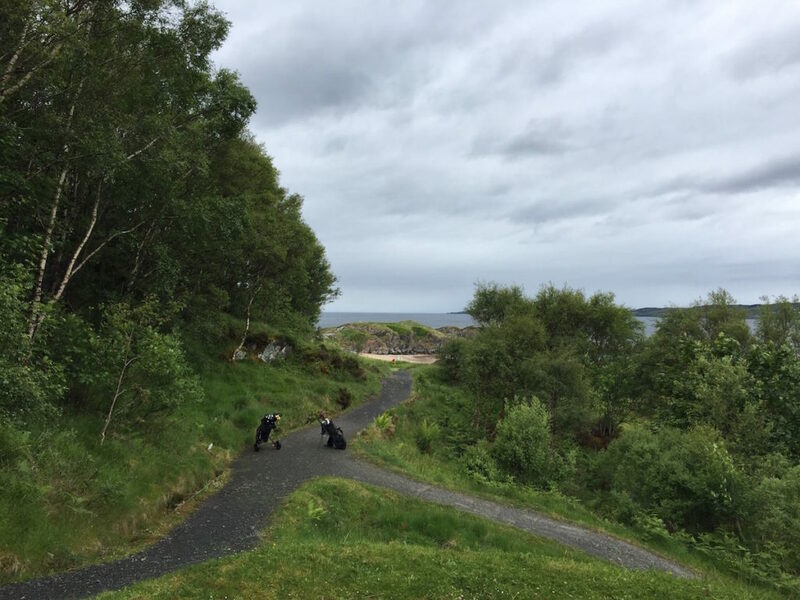 Hole #7 – 91 yards – “An Dun” – This is another artificial turf tee set on the hillside above the course. The blind shot plays toward the sea and only the very tip of the red flag is visible on the green. It’s a tantalizing view from the tee that leads to a dramatic reveal when you crest the hill and look down onto the green. Hole #8 – 526 yards – “Traigh Mor” – The only par 5 on the course, this hole hugs the beach and works back to the clubhouse. It features another artificial turf tee box set on the hillside in the woods with yet another great view. Players have the option to lay up short of a large hill that makes for a blind approach shot. Alternatively, golfers can try to carry the mound for a much easier approach. The second photo below is taken from the top of the mound. Gairloch embodies the quirky charm that makes Scottish golf so great. Playing the course with a friendly local made it all the better. 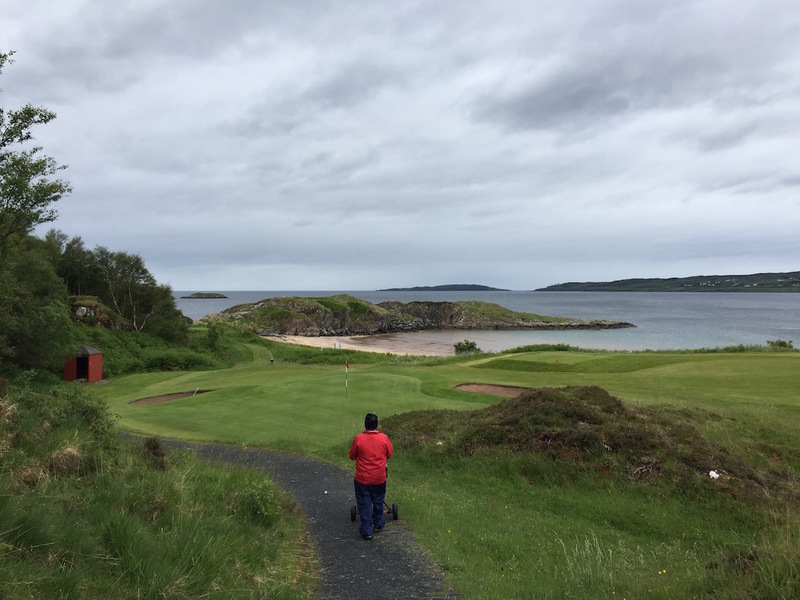 One story he told me embodies Gairloch perfectly: He described playing a round of golf, hopping down onto the beach to collect mussels, and then bringing them home to cook up a seafood pasta. If that’s not heaven, I don’t know what is.